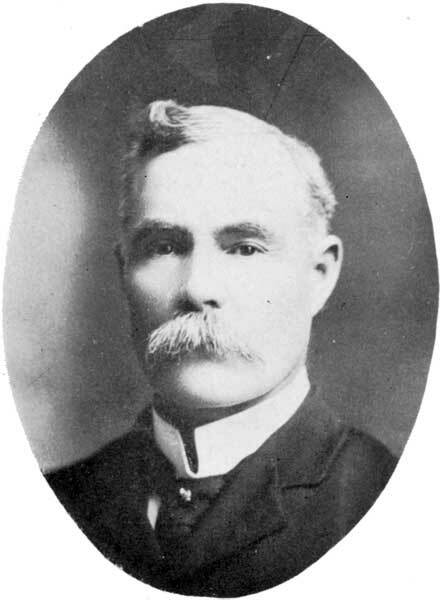 Born at Gananocque, Leeds County, Ontario on 14 October 1852, son of George Mitchell and Jane Brown, he was educated at the Gananocque High School and Montreal Art School. He joined the Canadian militia as a bugler at the age of 14, rising to corporal by 1870. Upon promotion, he was assigned to guard the Welland Canal at Carlton, Ontario against a Fenian invasion of Canada, an event that never took place. During his time in the militia, he met Colonel George A. French, soon to be the head of the newly minted North West Mounted Police (NWMP). It was a defining meeting for the young Mitchell. At age 18, Mitchell returned to civilian life and studied architecture at the Montreal Institute of Art for three years. He had read newspaper accounts of the difficulties at Red River and the whisky problem in the West. Stemming from his desire to serve his country and his strong sense of adventure Mitchell enlisted and at age 21 and was assigned NWMP regimental number 50, E division with the rank of Staff Constable. The NWMP departed Fort Dufferin on 8 July 1874. During his time with the force, Mitchell signed as witness with Governor Morris’ Treaty with the Wood and Plain Cree Indians at Fort Carleton and Fort Pitt on 23 August and 9 September 1876. 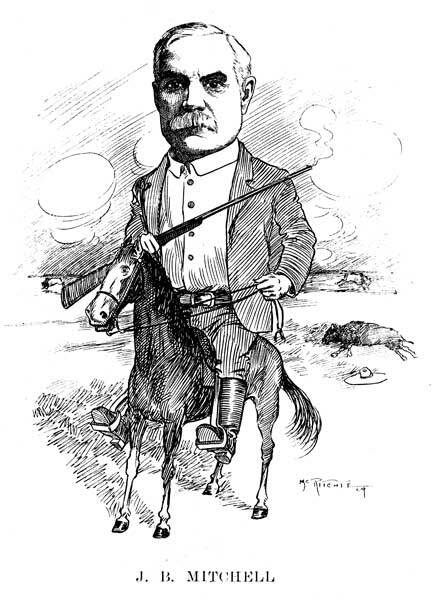 Having passed through Winnipeg during his time with the NWMP, when Mitchell returned to civilian life, he remembered the opportunity he felt existed in this new prairie city. He settled in the Point Douglas area. He was elected to the Winnipeg School Board in 1888 and in 1892 was appointed Architect and Commissioner of School Buildings and Supplies. Along with his contemporary, School Superintendent Daniel McIntyre, Mitchell designed and created what some saw as North America’s safest and most architecturally eloquent collection of schools. Together the two men oversaw the design and construction of 48 Winnipeg schools and numerous additions. During his tenure, Mitchell witnessed the value of school buildings grow from less than $350,000 to nearly $10 million. Influenced by British Board Schools, Mitchell created powerful, stately buildings that he felt nurtured the physical and intellectual potential of all children, no matter what their country of origin. British Board Schools were massive red brick buildings, usually three storeys, with similar design and layout. Hundreds of them were built between 1870 and 1900. Their style captured the imagination of the public and became the defining characteristic of enlightened education. Mitchell used the Board Schools as his basic design, enhancing the already handsome buildings with decorative details from Queen Anne, Gothic, Classical and Georgian Revival architectural styles. Always eager to learn new techniques and designs, Mitchell traveled across Canada and the United States, touring educational facilities and discussing their design with his peers. He brought home many new ideas for his schools. But always foremost in his mind was that fundamental education would be provided, children would be enlightened and all of Canada would benefit. He retired in 1928. He was married twice, first to Helen Richmond Brough of Gananocque with whom he had three children: Rosslyn Brough Mitchell, Edith Helen Mitchell (wife of J. R. Davidson), and Elinor Mitchell. His second wife was Margaret Booth (?-?) of Scotland. He served as president of the Canadian Club of Winnipeg from 1908 to 1909. During the First World War, Mitchell served as Lieutenant-Colonel of the 100th Grenadiers from 1912 to 1920, taking them to Valcartier in August 1914 (11th Battalion, Canadian Expeditionary Force). He raised the 78th Battalion in 1915 and the 100th Battalion which he took overseas in 1916. He saw action at St. Eloi and Vimy. He died on 14 November 1945 and was buried in the Brookside Cemetery. He is commemorated by J. B. Mitchell School in Winnipeg. There are papers at the Archives of Manitoba. This page was prepared by Reid Dickie and Gordon Goldsborough.